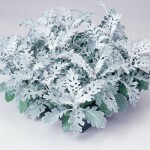 Dusty Miller Silver Dust is a popular landscaping plant used as an accent plant because of its unique silvery gray-green leaves. 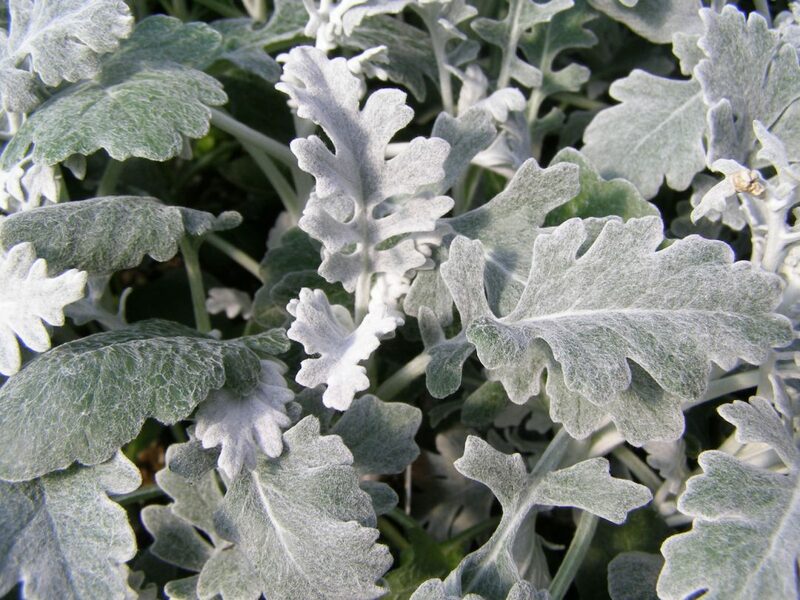 The lacy foliage is heavily serrated and starts out almost white and develops a green tint as it matures. 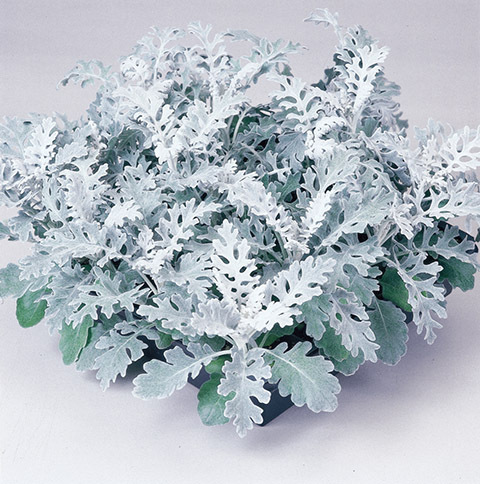 Silver Dust does bloom with tiny dark yellow flowers, but like coleus and similar plants that are grown mainly for their foliage, the blooms are insignifigant and usually are removed. 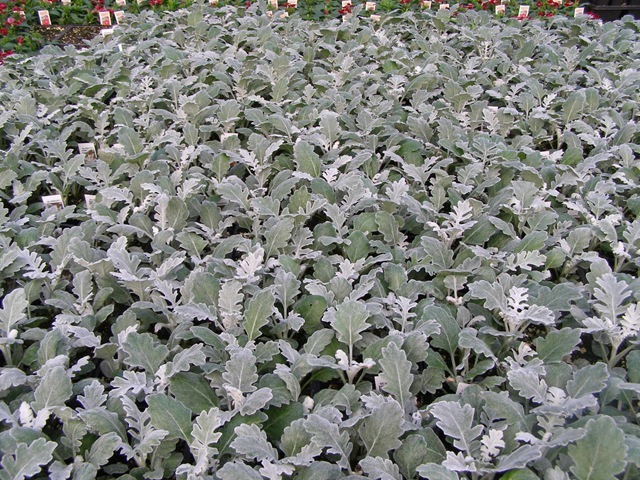 These heat and drought tolerant plants are off of the menu of deer and rabbits. This means that if they are left alone they can grow and thrive all summer and fall and possibly survive the winter in some locations. If they do come back the next spring, leave the old foliage until you can see where the new growth begins then you can cut it back. During the regular growing season you can cut back Dusty Miller if it gets to unwieldy. Use the discarded material as a filler in cut flower arrangements. Recommended Spacing: Plant 6″ to 8” apart. 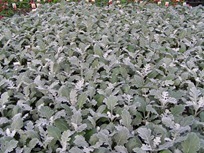 Outstanding Features: Dusty Miller is very heat and drought tolerant.